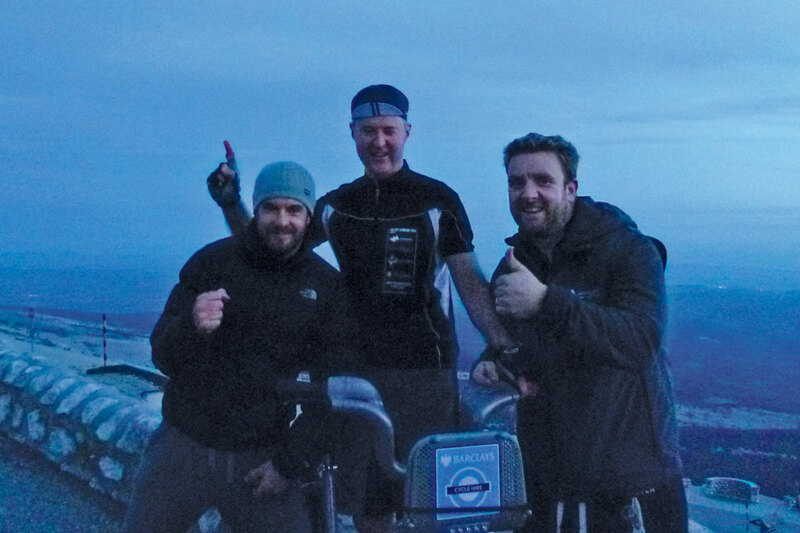 On October 26 2013, three friends took on Mont Ventoux on a Boris bike. 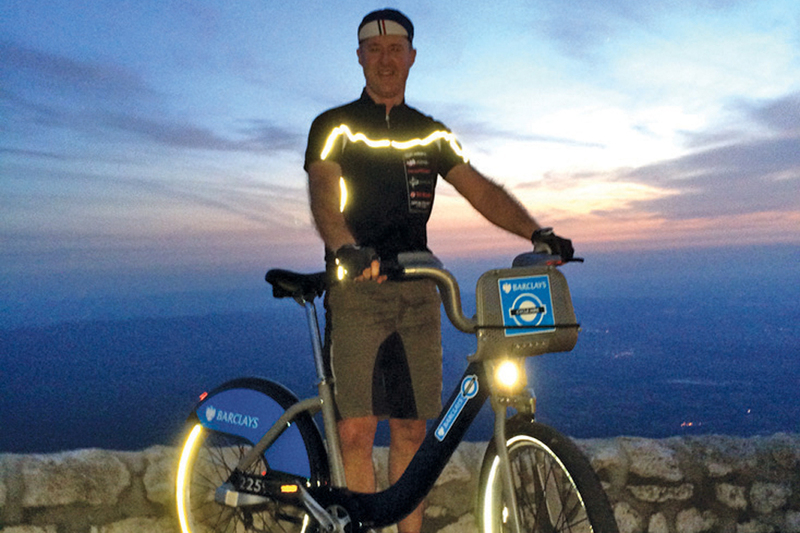 The challenge was to pick up the bike from a South London docking station, drive to the South of France, climb the infamous mountain, bottom to top, and return it to London within 24 hours to avoid a £150 charge. They made it with less than a minute to spare. Since then, the video of their mission (tinyurl.com/pfbkcfz or below) has gone viral, with almost 75,000 YouTube views and £10,000 raised for Macmillan Cancer Support. 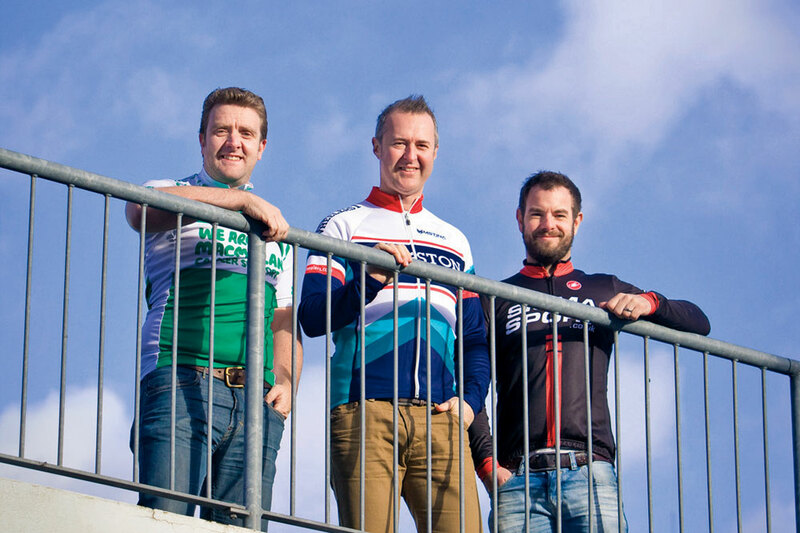 CW caught up with the three riders to get the inside line on their challenge. The video is impressive. What made you do it? Rob Holden, Boris bike pilot: My company does fundraising for Macmillan and for the Archie Foundation. Cycling is about the only thing I can do, outside of work, so I just married the two ideas up. Originally we thought, ‘How far can we take a Boris bike to get it back within 24 hours?’ and Ian suggested Ventoux. It just made perfect sense to go for the ultimate Tour de France climb. Although we knew [of the Ventoux], I’m pretty sure none of us realised how hard or steep it was. Rob did the riding but you all played a role. MW: My job in this was the organisation; Rob’s obviously was to train as hard as he could. Ian’s job was to record the story. I’d spoken to a couple of mates, including one who rides for London Dynamo, and he just said, “It can’t be done,” so that really spurred us on a bit more. Was it harder than you’d imagined? The weather was warm for the end of October. How was it up there? RH: The week before, it was minus one at the top. Two weeks before, there was snow, so we were geared up for freezing temperatures and high winds; 240 days of the year, there’s over 70kph wind, that’s why it’s called Ventoux. It was 25˚C when we set off, so right from the word go, I was burning up. I’d guesstimated it would take about 2.5 hours, with about an hour of hard, intense effort, but being up there for nearly three hours was unbelievable. I don’t think I ate anything. How much training had you managed to get in? RH: It was just a case of doing hill reps. I’d never been on a Boris bike before, so I rode from Kensington to Richmond Park and did a few laps; later, we did a couple of loops of Box Hill. I knew if it got to 10-12 per cent gradient, I could do it, but it would be a grind. Boris bikes aside, do you cycle regularly? RH: I used to be a good climber as a kid. I was super-thin, but those days are gone. I didn’t race in 2013, so wasn’t as fit as I could’ve been. I’ve just always been into doing stupid things. What other stupid things have you done? RH: I did a seven-day mountain bike race in Canada a few years ago, a few Ironmans, but never anything quite so ridiculous. You dedicated the ride to your dad. RH: My dad had cancer. He was lucky it was treated quite quickly but it does make you aware of your own mortality when it’s in your family. So the fundraising went well? RH: We’re about £15 from £10,000. My original target was £2,000, and that’s where we got to when we left. Then the video came out and it was just ridiculous, it was like £100 a day. And of course now we’re desperately trying to get to £10,000. Did you foresee the video’s popularity? RH: It was way beyond our expectations. Some of the comments had us in tears. MW: On the Friday, we put the video out, I sent it to Associated Press, and they loved it, and by Monday afternoon, we were in the Evening Standard and every single national paper carried pretty much a page. It seems like an amazing experience. RH: I did a few times take stock and soak it in. There was this incredible view, and when we got to the top everyone had gone home and we had the mountain to ourselves. One thing you don’t see [in the video] is me throwing up in the back of the car for two hours from dehydration and because Matt was cornering so fast. Still, you seemed in good spirits? RH: We all had a role to play, and we never had a cross word to say to each other. MW: We’re like the three musketeers: one for all and all for one!